I've never been one to condone the usual response people come up with when they hear that you listen to more than just one definite genre. I've never understood the reasoning behind bashing an individual with a broader spectrum of musical tastes rather than those who limit themselves to one or two and therefore cut off any and all chances of supporting acts in different styles that undergo the exact same situations and struggles that the same bands they adore go through. Tonight's review is on a band that many of you may not be familiar with, but I encourage and plead with you to give them a listen because they could quite possibly be that next big thing you've been waiting for. A five piece folk/rock band, more widely known as The Lumineers, have burst out of the Denver, CO music scene to take listeners all over with their insanely catchy but short tune originally named "Hey Ho". But this isn't a review about one song or the band, it's about the self-titled album that "Hey Ho" comes off of. I may be late with this review considering the album technically came out back in April, but I'm just going to look past that and here's to hoping that you, the readers, can too. If someone were to ask me what kind of genres I enjoyed listening to I can honestly say that folk rock would have been near the bottom of that list. I've had it happen more than once, though, where a band has come out of nowhere and had such an adverse effect on me that it made me forever a fan of its respective genre; the Lumineers have done that with their self-titled album. The eleven track album totals up to thirty eight minutes and since my girlfriend first told me who sung "that catchy 'Hey Ho' song", I haven't been able to go longer than six hours without listening to The Lumineers, unless I'm unconscious. 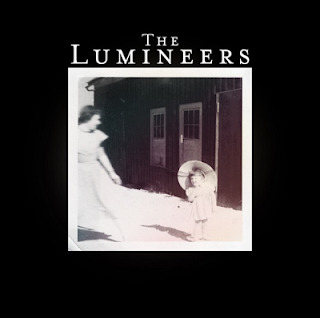 I've heard my fair share of catchy songs and albums, but I respect the members of The Lumineers so much for being able to do it with absolutely no auto-tuned effects or electronic and fast beats. They stole my heart with nothing more than sheer strumming ability and echoing voices that tremble with pure emotion. The eclectic mix of fast-paced strums can almost instantaneously change to soft and slow strums with equally slow vocals and bass. Whether it be tambourine, bass, guitar, vocals, or the slew of instruments the band, uses they manage to do it with such finesse. Prior to The Lumineers, I had never heard a band that can correctly combine so many instruments as well as vocals and fit them together so perfectly in such harmony. Regardless of my different musical preferences, I can easily say that The Lumineers have released one of the best albums I've heard in quite a long time. Even though it officially released back in 2012, I'm only listening to it now in 2013 and I can say with the utmost confidence that I'm going to be jamming this album by myself in my room and on every bus I take, as well as every car ride with the girlfriend, because neither of us can get over the mesmerizing vocals of Wesley Schultz. When I listen to the album, I get a feeling of pure nostalgia even though I had never heard something so beautiful before. It has such an old fashioned and old-time feel about it that leaves me with such a bittersweet feeling of sadness, relief, and happiness. I'm sure you've had enough of me gushing about this album, so with these final words, I urge you to give this album a listen and make an opinion for yourself. I can almost guarantee you that no matter what you listen to, you'll love this album.